Ah, Friday! That very word sounds like a spell, a spell as strong as Expecto Patronum that chases all depressing thoughts away from you. College students, professionals, freelancers, entrepreneurs or stay-at-home parents, everyone deserves a smashing Friday. If you have had a rough week, you need to make just one decision this Friday – bottle or glass? So, shut down your laptops, put on your jackets and head straight to the best and happening pubs in your city. And if you live in Pune or are visiting the city this weekend, you are in for good news. From craft beers and sangrias to mind-blowing cocktails prepared by skilled mixologists, the city is all set to serve up the best for you. 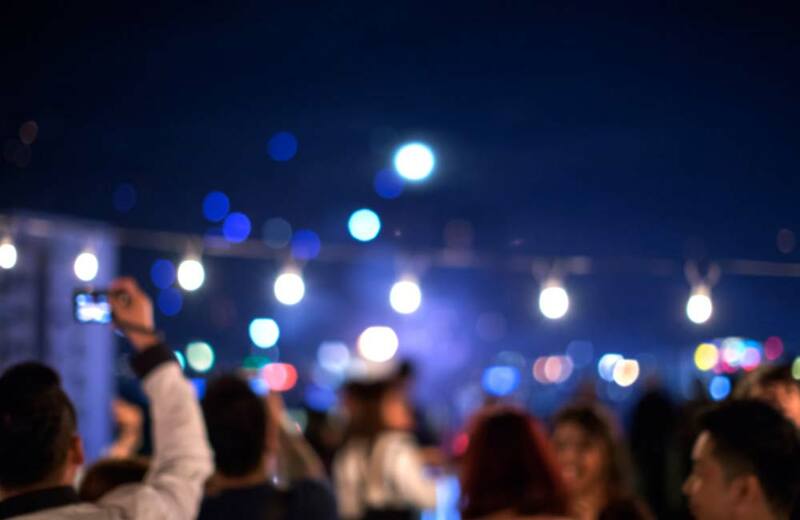 Read on to know more about the top 10 bars, nightclubs, and dance pubs in Pune where you can enjoy a throbbing nightlife. One of the most popular and chic resto-bars in the city, Swig will sweep you off your feet the moment you enter. With bare brick walls, outdoor seating areas, live sports screening, a foosball table and a vintage telephone booth, the place scores high on ambiance and interior décor. 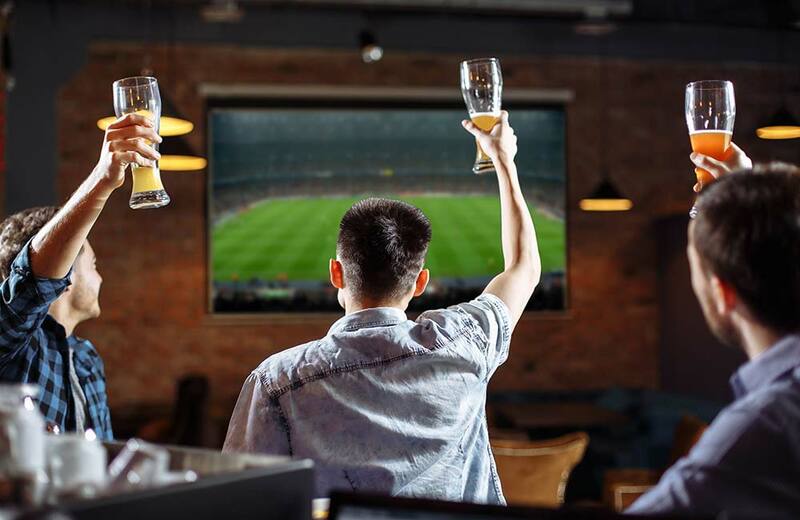 If you are looking to grab an after-work drink with your friends or watch your favorite football match all by yourself, this is indeed a great choice. Gastronomes might not find the food menu here very extensive or diverse. However, what it lacks in diversity, it makes up for in quality and class. Keep in mind that all brewing and mixing at Swig stops just before midnight, so if you want to keep the night going, it’s better to include one more pub in your Friday plan. And the best part? The place is pet-friendly and you don’t have to leave your furry friend back at home when you go partying. 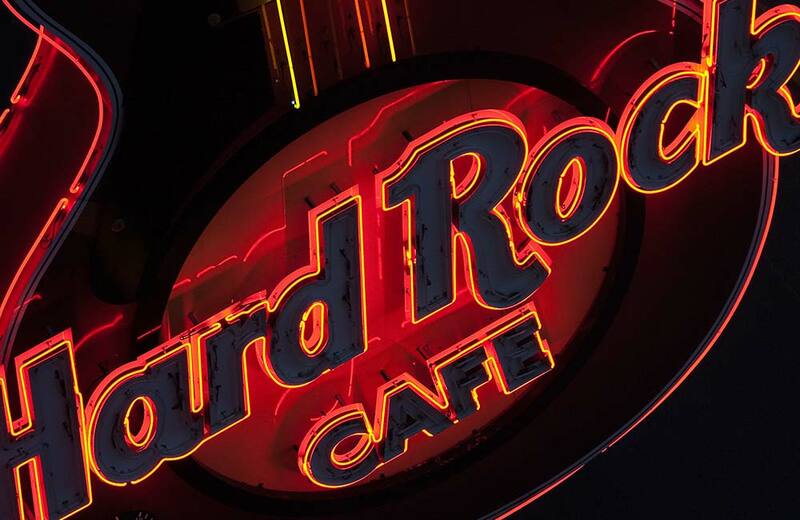 When you want to party hard and dance all night, head to Hard Rock Café and grab a few drinks. 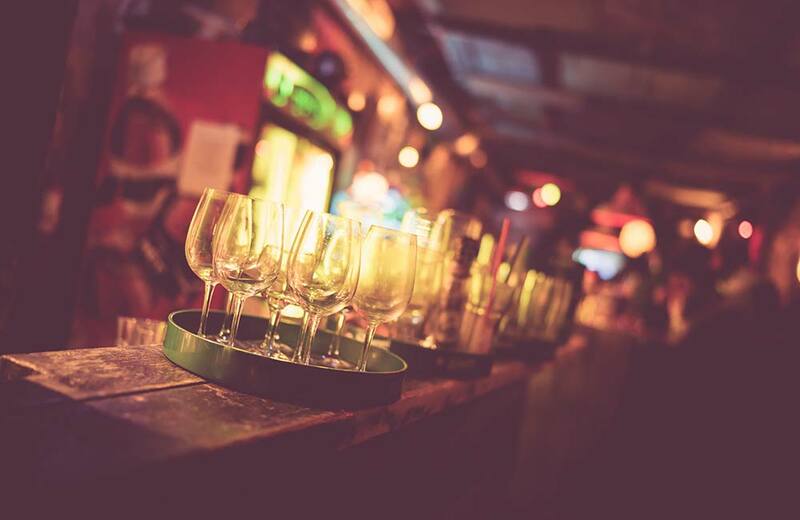 One of the most frequented pubs in Koregaon Park, Pune, it has a lively and bustling ambience to keep you entertained. Like all other HRCs in all major cities, this one is also best known for good music, karaoke nights, extensive cocktails, and of course, dance floors and splendid food. Nine out of ten pub goers in Pune have likely fallen for HRC’s American Burgers, Ultimate Long Island Iced Tea or Jager Bomb. When you are here, take a good look at the walls where you will see a fascinating range of memorabilia items on display, including Bob Dylan’s leather jacket, a denim patch coat worn by Elton John, and electric guitars signed by famous singers. What’s more, the café is spread over an area of 8500 square feet with a bar section, 120-seat restaurant, Rock Shop, and 80-seat open lounge. If you are a Punekar in your twenties, 1000 Oaks needs no introduction; it is probably where you had your first drink. For those who are new to the city, here’s everything you should know about the place. More popularly known as T-Oaks, this is an extremely popular pub in Pune with a bar, restaurant, and an open garden area. It was once a bungalow and later converted into what it is today – a resto-bar. When it comes to décor and music, classic is the word that defined T-Oaks. And if you want to feel nostalgic listening to iconic retro music (yeah, hits of Bryan Adams included! ), come to this place. The North Indian food served here will not disappoint you. Don’t forget to order their Barman’s Pitcher, which is and has always been the crowd favorite. You might also like: These Most Romantic Places in Pune Will Make You Fall in Love … All Over Again! Looking for pubs in Pune with dance floors where you can dance to your heart’s content all through the night and up until the dawn? Off you to go to Mi-a-Mi, the city’s most famous nightclub spread over a whopping area of 15,000 square feet. Housed within JW Marriot, the place has everything you would expect from a nightclub – luxurious couches with silk upholstery, neon lights, a stage area for artists to perform, and plush interiors. The club is open only three days of the week and you are required to follow a casual dress code. Also remember, Mi-a-Mi is not among the pubs in Pune with free entry. It comes with a hefty entry fee for couples as well as stags, but the experience, drinks, and food are totally worth it. Fancy enjoying breathtaking views of the cityscape on a Friday night, sipping your favorite cocktail and relishing some finger food? And later after a couple of drinks, dancing to the tunes on an open-air dance floor? We know just the right place for you – Penthouze! Another popular nightclub in Koregaon Park area, this place is close to many major hubs and hotels in Pune. What makes it truly unique is its own range of infusions, each of which is crafted through blending global spirits and aromatic Indian spices. The food here, especially the small bites like fries, falafels, and cheese squares will be a perfect accompaniment to these flavorful concoctions. Bars and pubs designed in the industrial style décor are rising in popularity these days and why not. This school of décor has an undeniable rustic and minimalistic charm. Don’t believe us? Go to the Urban Foundry and you will be convinced in two shakes of a lamb’s tail. As you would have already guessed from the name, the theme here is a foundry aka a factory for metal castings. With bare brick walls, basic wooden furniture, oil barrels used as tables, metal fences used as dividers, leather and wooden accents, and old mechanical parts on display, the place exudes (or rather screams) a stunning industrial vibe. 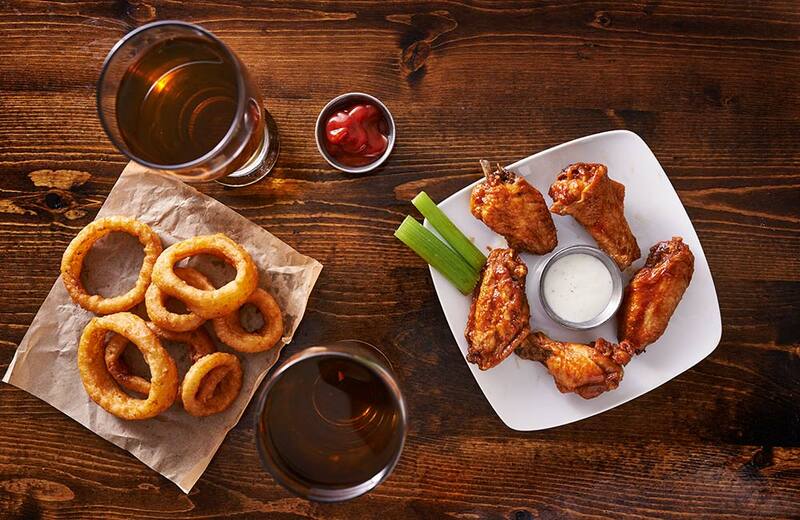 And the food and drinks here are equally stunning while live music, live sports screening, and nightlife make it a hot favorite among young party animals. Even the bar menu here is fun to read as cocktails and alcohols are categorized based on metals and alloys. Keep in mind that it’s pretty hard to score a table here any night of the week and even more so on a Friday night. So you better be an early bird! A lover of beer, are you? And do you possess the secret superpower to make beer disappear in a matter of seconds? Well, well, my friend, you will find yourself completely at home at Effingut Brewerkz, one of the leading microbreweries in Pune. 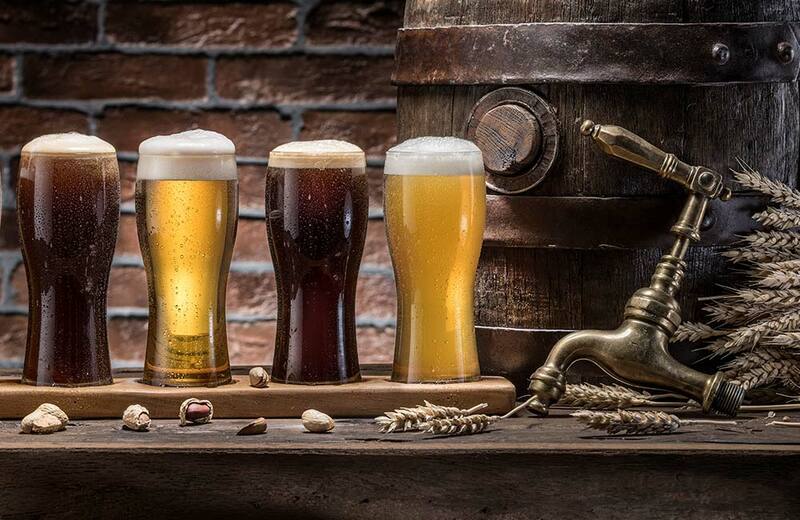 Known for its legendary craft beers such as Apple Cider, Mango Chilli Cider, and Peach Ginger Melomel, some of which even contain Indian flavors, the place is every beer lover’s dream come true. The cocktails and mocktails here are equally exciting; so is the food. The warm and woody interiors with bookshelves and board games will make you want to stay here forever. The Single Malt and Co might not be the best or the most happening pub in Pune, but it deserves a place in your must-visit list for a good reason. And the very name of the pub gives that reason away. 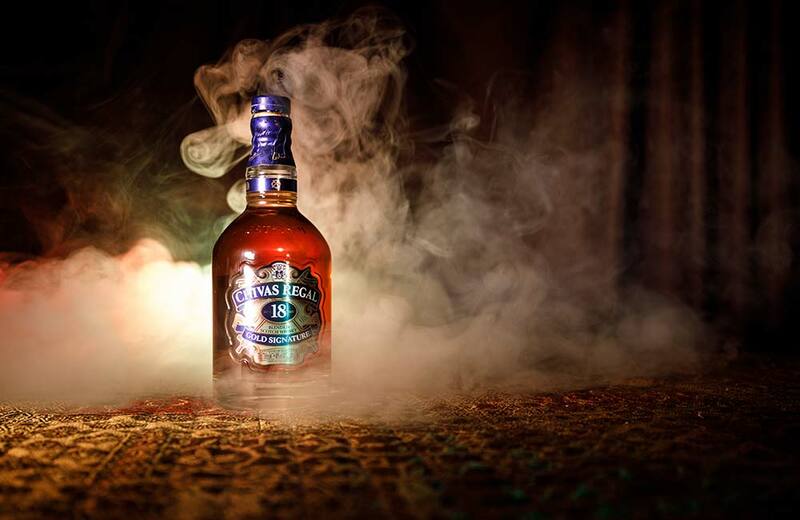 Yes, the Single Malt and Co is best known for its extensive collection of single malts. 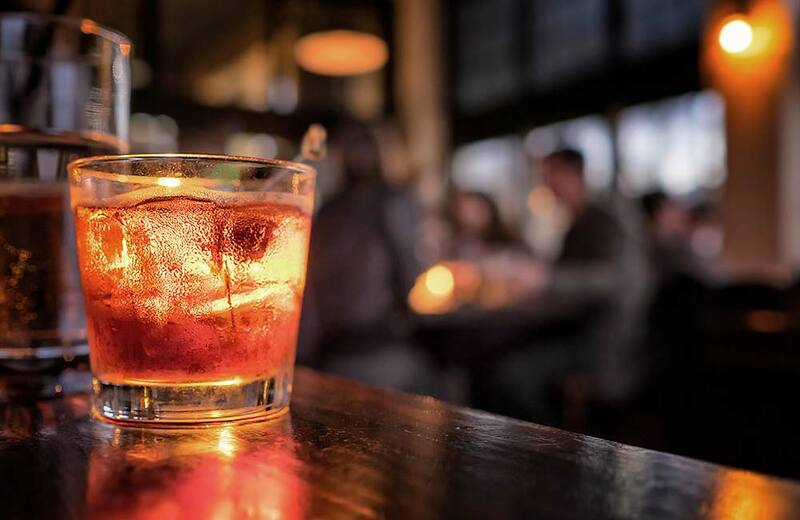 Whether you are looking for Bourbons, Scotches, Irish Whiskies or even the regulars like Chivas, Dewar’s and Signature, this place has it all and more. It also has a special list of cocktails straight from the bartender, including whiskey-based ones like Father of Father, Old Pal, and Forbidden Apple. Located in the central lobby of Hyatt Regency, it boasts of cozy interiors with leather chairs, dim lights, outdoor seating, and live music. With beautiful views of the city and the Mula Mutha River, Mix@36 is for everyone who has a thing for rooftops. Whether you want to unwind after a rough work week, have a long conversation with your bestie or just watch the evening go by, do it over a few handcrafted mojitos and martinis here. 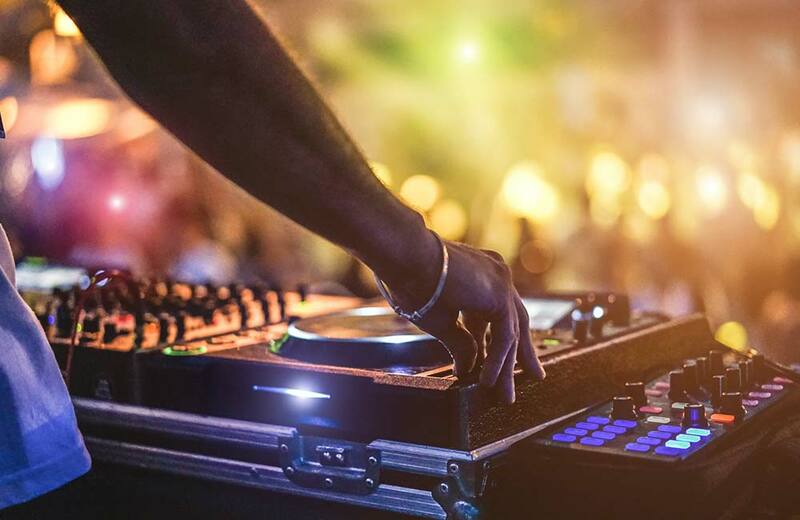 Although the huge sky deck, LED-lit bar tops, good music and a great menu help the place score high with party animals, the sundowner party that happens every Sunday makes Mix@36, hands down, a winner among all! What’s more, some of the cocktails here are named after famous songs and bands. This means you can sip on a tall glass of Pink Floyd or spend the evening sharing a Mama Mia or a Smooth Criminal with your friends and colleagues. Not bad, eh? When your weekend celebration stretches from Friday to Saturday, you deserve a one-of-a-kind place to keep the party going. How about swaying to the beats on a revolving dance floor? Or how about continuing your weekend bash in a club that’s designed like a cool spaceship? Get ready for close encounters of the third kind because Area 51 is where you should be partying this weekend! With luxurious interiors, great lights, and tempting food and drinks, this nightclub has won the hearts of Punekars. You should keep in mind two things, though. Firstly, the place has entry fees for couples and stags and secondly, it is open only on Saturdays. 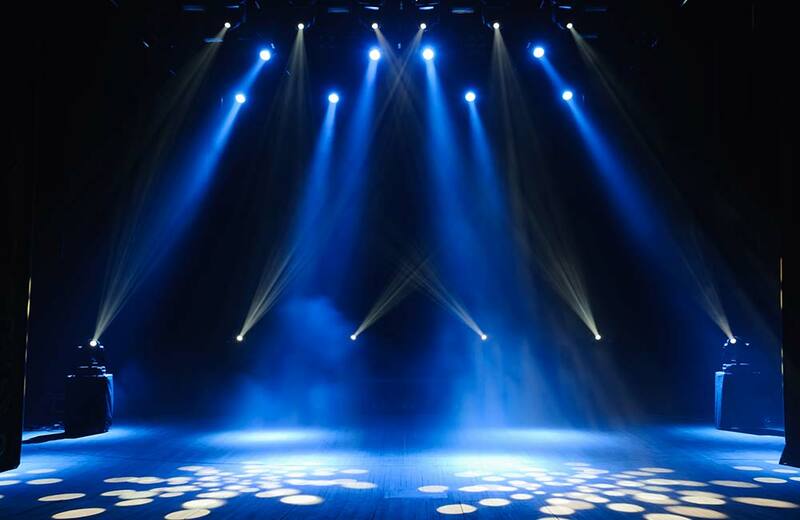 However, it is sure to create a unique discotheque experience and keep you grooving all night. Now that you know where to head to this weekend for a few nightcaps, live music, dance, and delicious food, what are you waiting for? It’s Friday, my dear; the day you have been waiting all week for. Let’s go and make some mind-blowing memories for Monday!